On 3 May, at around 4.45pm, a short, trim Indian man walked quickly down London’s Old Compton Street, his head bowed as if trying not to be seen. From his seat by the window of a nearby noodle bar, Anuvab Pal recognised him instantly. “He is tiny, and his face had been all over every newspaper in India,” Pal recalled. “I knew it was him.” Few in Britain would have given the passing figure a second look. And that, in a way, was the point. The man pacing through Soho on that Wednesday night was Nirav Modi: Indian jeweller, billionaire and international fugitive. The game plan has changed. Military watchers were surprised earlier this month when the Chinese People's Liberation Army sent a 10-member, high-level delegation to New Delhi. The officials went for talks "to promote strategic trust and mutually beneficial cooperation between the two militaries," according to Luo Zhaohui, China's ambassador to India. Only a year ago, the neighbors appeared to come closer to war than at any point in the last half-century. Chinese and Indian soldiers stood eyeball to eyeball for two and a half months in the border area of Doklam, where the two countries and Bhutan intersect. 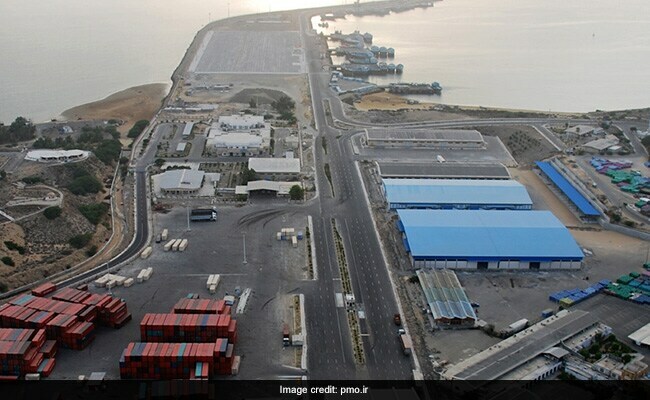 Iran on Tuesday criticised India for not fulfilling its promise of making investments in expansion of the strategically located Chabahar port and said New Delhi will stand to lose "special privileges" if it cuts import of Iranian oil. Iran's Deputy Ambassador and Charge d'Affaires Massoud Rezvanian Rahaghi said Iran will end the privileges being provided to India if it tries to source oil from countries like Saudi Arabia, Russia, Iraq, the US and others to offset cuts in Iranian oil. "It is unfortunate that Indian investment promises for expansion of Chabahar port and its connectivity projects have not been accomplished so far. It is expected that India takes immediate necessary measures in this regard if its cooperation and engagement in Chabahar port is of strategic nature," he said. Situated in the northwest part of Pakistan, along the Afghanistan border, the Federally Administered Tribal Areas or FATA is one of the most dangerous places in the world and has been the home-base for jihad and terrorism in South Asia. Governed by colonial era laws, and damaged by militancy and military operations, FATA residents remain second-class citizens, treated differently from the rest of Pakistan. This paper looks at the government's recent push to mainstream FATA and what it will mean for militancy in the region. Ask any business in the United States or other major market about cloud usage, and many will claim that it’s already standard. But that’s not the case in China, where most companies still rely on local computing in their own data centers. For Chinese business leaders, the hesitation to adopt cloud technologies isn’t just an IT issue—it’s at the root of a much larger problem. Although China is technologically advanced in many respects, with the world’s largest e-commerce market and a thriving mobile-payments landscape, businesses have been slow to invest in IT initiatives that improve operational efficiencies or provide a competitive advantage, including those related to automation or advanced analytics.1China’s delay in moving to the enterprise cloud is one major factor behind the low digitization rates. China will increasingly play gatekeeper to the country's growing middle-class market for luxury goods, manufactures and food products. This consumer class will only gain more clout in the coming decades. Flows of Chinese tourists will be an unexpected tool of statecraft, raising the potential for sharp disruptions to the travel and aviation sectors. These risks are particularly high in South Korea, Japan and Taiwan, but extend across Southeast Asia and into the islands of the Indian Ocean and the South Pacific. Decades of explosive economic growth has handed China numerous tools it can use to exert its influence abroad. Massive defense outlays, foreign direct investment and the sprawling Belt and Road Initiative are the most visible expressions of China's economic might. But amid these earthshaking projects, the Chinese consumer has slowly gained clout. And as mounting trade tensions with the United States have shown, China can and will regulate access to its growing market. EXECUTIVE SUMMARY: China and the US have different geopolitical imperatives, so tensions are bound to increase between the two powers. 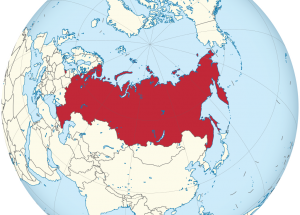 Russia’s position in the nascent confrontation will be important to watch, as it is simultaneously under pressure from the West and in the shadow of Chinese economic strength. Russia will likely see US-China competition as providing an opportunity to improve its own geopolitical position. China, which is poised to become a powerful player in international politics thanks to its economic rise and concurrent military development, has strategic imperatives that clash with those of the US. Beijing needs to secure its procurement of oil and gas resources, which are currently most available through the Malakka Strait. In an age of US naval dominance, the Chinese imperative is to redirect its economy’s dependence – as well as its supply routes – elsewhere. Algeria's economy is struggling, and its citizens are becoming increasingly dissatisfied with the stubborn ruling parties that have held a tight grip on power for two decades. The economic woes have galvanized members of the feeble political opposition, who are demanding reforms such as economic diversification and the loosening of restrictive foreign investment regulations. Dramatic economic reforms are unlikely under the current Algerian leadership, but even small changes, especially adjustments to foreign investment laws, are big in the context of the country's long-stagnant political system. By most accounts, there’s great trepidation within Europe over this week’s summit meeting between President Trump and the leaders of America’s closest allies. Ostensibly, the 2018 NATO summit—the first formal summit in two years—will focus on a new initiative to promote military readiness, the streamlining of alliance decision-making during crises, and the creation of additional alliance command structures. 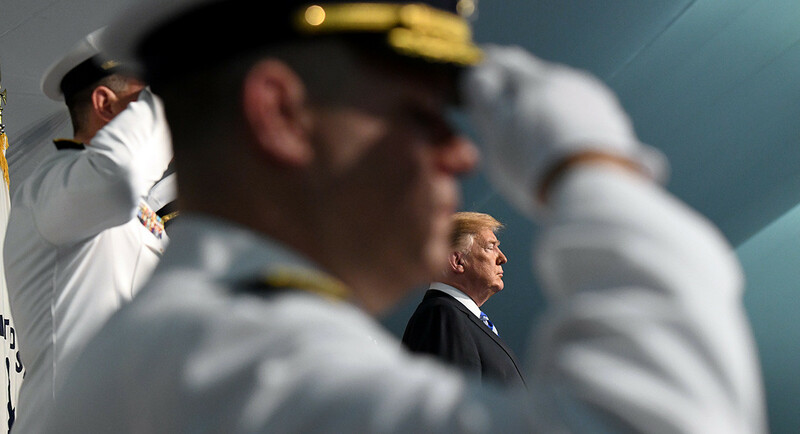 But leaders across Europe know the American president is likely to focus on a single issue in public and private—defense spending. The problem is, history shows that berating U.S. allies to contribute more to the common defense has rarely worked. Moreover, the president has inadvertently undermined the most effective means for achieving the fair burden-sharing that the U.S. government seeks. Friction between the United States and the European Union will force Poland to find a balance between its main security ally and its main economic partners. Poland will seek to preserve its alliance with the United States on issues varying from energy to security. While Poland will remain skeptical of European integration, it will not do anything to jeopardize its membership in the Continental union. These are turbulent times for U.S.-EU relations. In recent weeks, the White House and the European Union have clashed over various issues, including the Iran nuclear deal, defense and trade, and have produced friction that could disrupt the political, economic and security institutions that the United States and Europe created after World War II. The developments give most European countries cause for concern, but the issues represent a particularly significant challenge for Poland, because its main security ally — the United States — is at odds with its main economic partner — the European Union. The disputes threaten Poland's interests, but this period of difficulty also presents Warsaw with a variety of options and opportunities. Donald Trump attacked his allies at the G7 summit, then embraced North Korea’s Kim. Will summits with NATO and Vladimir Putin follow the same pattern? NATO leaders are worried about what US President Donald Trump may say at the NATO summit in Brussels this month, and what he might agree to in his first proper summit meeting with Russia’s President Vladimir Putin a few days later (the two have so far only held a short bilateral meeting, in the margins of the G20 Hamburg summit in July 2017). A bad tempered NATO summit followed by an ill-considered rapprochement with Russia would further divide the West. The Senate Select Committee on Intelligence (SSCI) is conducting a bipartisan investigation into a wide range of Russian activities relating to the 2016 U.S. presidential election. While elements of the investigation are ongoing, the Committee is releasing initial, unclassified findings on a rolling basis as distinct pieces of the investigation conclude. The Committee has concluded an in-depth review of the Intelligence Community Assessment (ICA) produced by CIA, NSA, and FBI in January of 2017 on Russian interference in the 2016 U.S. presidential election (Assessing Russian Activities and Intentions in Recent U.S. Elections; declassified version released January 6, 2017) and have initial findings to share with the American people. The U.S. Department of Defense (DoD) requires robust engineering practices to develop the weapon systems the Nation needs to maintain superiority against threats from adversaries worldwide. Traditionally, the Department has relied on a linear process to develop complex systems that serve a range of missions and users. Often the acquisition engineering processes are documentintensive and stove-piped, leading to extended cycle times with systems that are cumbersome to change and sustain. The DoD faces the challenge of balancing design, delivery, and sustainment of complex systems with rapidly changing operational and threat environments, tight budgets, and aggressive schedules. The NASA Gravity Recovery and Climate Experiment (GRACE) satellite mission tracked trends in global freshwater supplies from 2002 to 2016. 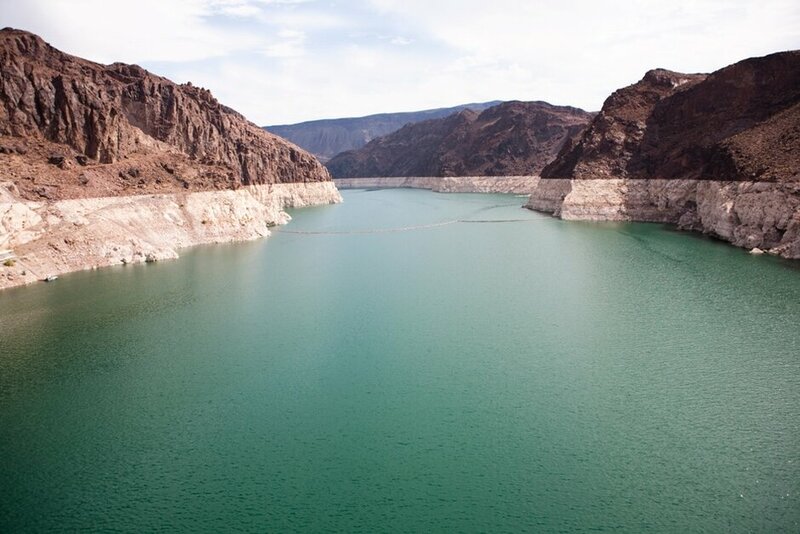 An analysis of the satellite data identified 19 hotspots where there were dramatic increases in water stress. Some of that stress could be alleviated by the application of green solutions, such as wastewater recycling, to reduce the reliance on grey infrastructure, such as reservoirs. Countries need to develop multilateral, co-operative management practices and initiatives for shared water resources, including the fostering of transboundary water sharing agreements. An Argentine satellite company has launched a subscription-based service that will allow customers, including government agencies or non-governmental organizations, to purchase satellite images over a specified area of interest. Satellogic satellites collect both high-resolution images, with 1-meter resolution, and hyperspectral images, which can show more detailed information about objects, such as their chemical composition. 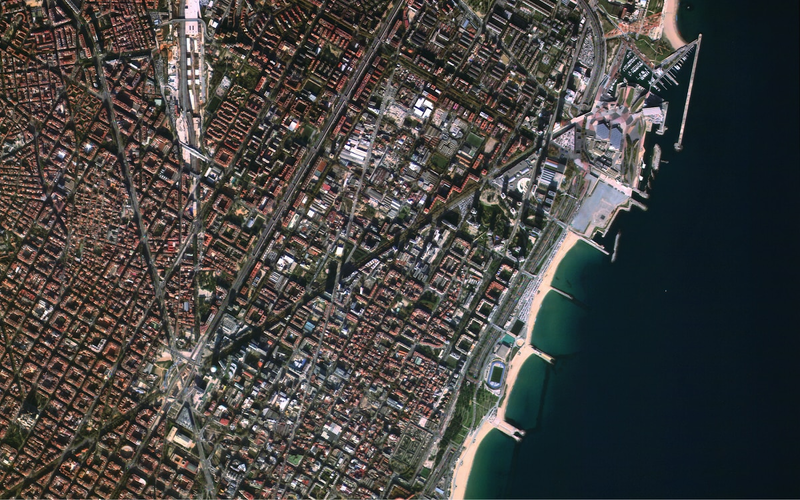 The company’s new venture, known as the Dedicated Earth Observation Satellite Program, offers access to customized images and data. They say that by 2020, there will be 50 billion connected things on the planet. This already includes your refrigerator, weighing scale, coffee machine, household lighting systems and intelligent assistants, and will very soon (if not already) extend to the cars you use to commute, the restaurants and pubs you visit and even the locomotives and aeroplanes in which you travel. 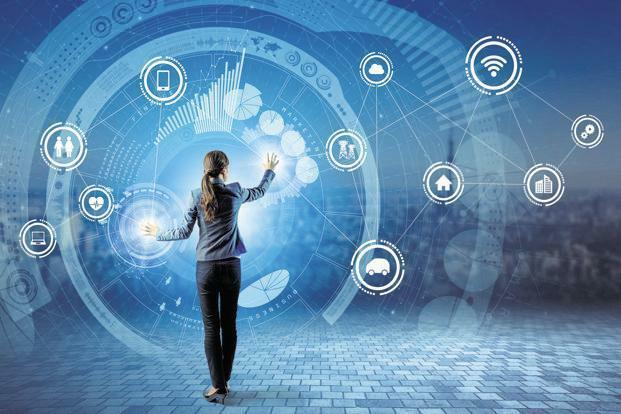 As good as they are on their own, it is only when smart devices connect to each other that their utility undergoes a phase transformation. Smart cars that speak to our home automation systems can provide our smart homes with advance information of our exact location on our commute back from work, initiating a series of workflows that will ensure that the lights come on and the air conditioning has cooled the house to the correct temperature so that our home welcomes us properly when we arrive. This is the power of the Internet of Things (IoT). And as much as we might marvel at all it has to offer us, the true promise of the connected world is still ahead of us. Accepting a middle ground or finding a balanced solution on the issue of encryption is neither feasible nor, in fact, desirable. Privacy advocates and security researchers are destined to win the fight on stronger encryption and against key escrow, but they will lose the war on security – and most likely fragment along those fault lines in the not-so-distant future. In Europe, no single vision on how to tackle the challenges created by the rise of encryption currently exists on the political level. Polar, a fitness app, is revealing the homes and lives of people exercising in secretive locations, such as intelligence agencies, military bases and airfields, nuclear weapons storage sites, and embassies around the world, a joint investigation of Bellingcat and Dutch journalism platform De Correspondent reveals. In January Nathan Ruser discovered that the fitness app Strava revealed sensitive locations throughout the world as it tracked and published the exercises of individuals, including soldiers at secret (or, “secret”) military outposts. The discovery of those military sites made headlines globally, but Polar, which can feed into the Strava app, is revealing even more.